Made of stainless steel and biomedical techno polymer. The male screw is not in contact with the orthodontic acrylic resin: the function of the screw will not be influenced by the quality of the technical procedure and a non-compliant curing time. Continuous expansion movement: the high pressure injection of the polymer allows the perfect copy of the male thread of the screw thus ensuring a steady expansion transmission without the risk of undesired turning back in the mouth. 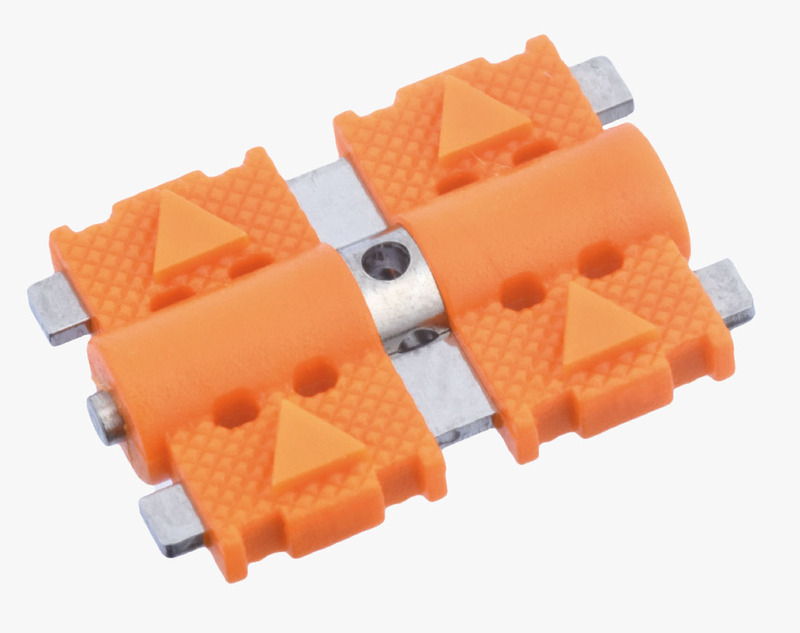 The self-centering rectangular guides ensure a biomechanical and absolutely controlled symmetrical expansion. 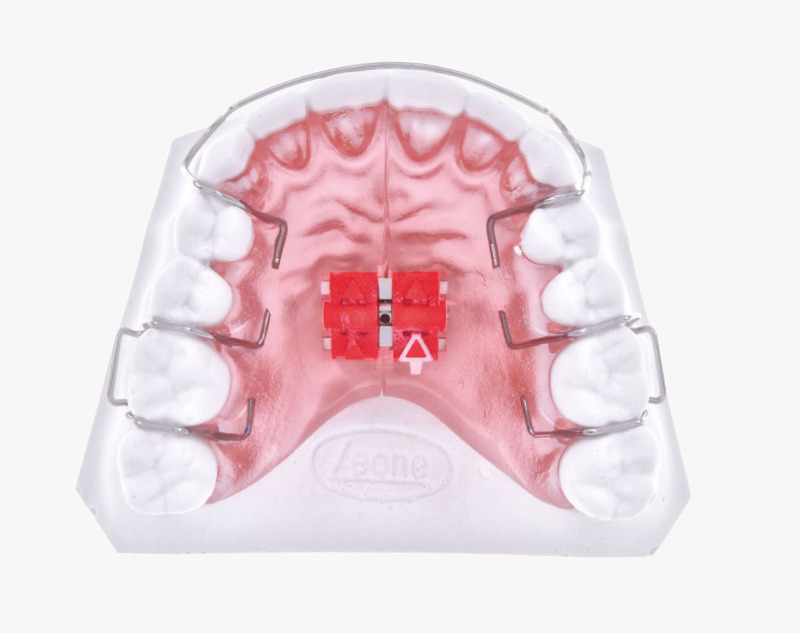 The flat shape of the guides and their flexibility allow the gradual release of the expansion with a physiological orthodontic movement. The flexibility of the screw allows the adjustments of any dental regress due to inconsistent use of the appliance by the patient, thus being very effective with holding devices following a rapid expansion treatment. The high adaptability of the appliance enables a comfortable application in the mouth in the days following re-activation. Two embossed arrows on the body indicate the direction of opening. When using a color of acrylic resin similar to the polymer body, a white arrow provided with the plastic placement tab may be easily applied to make the direction of activation visible. 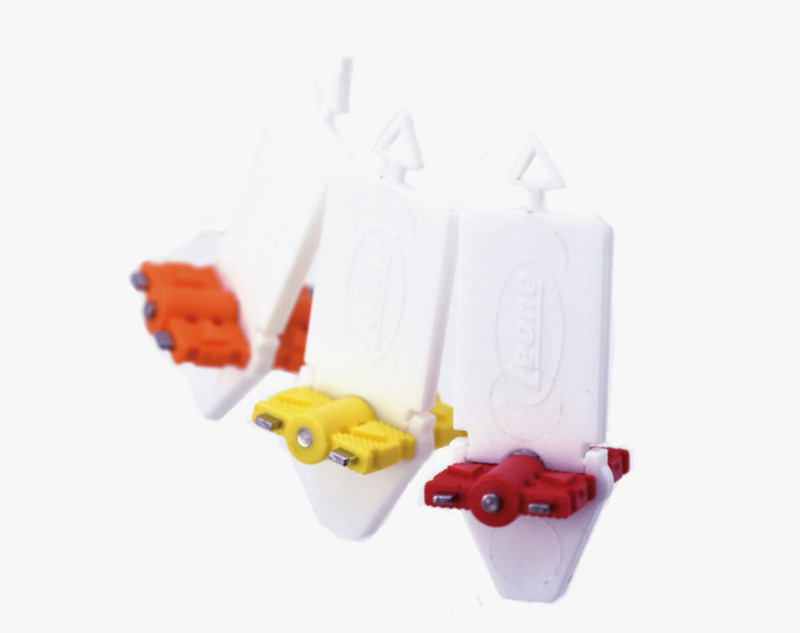 The placement plastic tab, made of two pieces combined with a unique geometry, allows a perfect protection of the holes from the acrylic resin during the packing procedure and facilitates the removal after the curing cycle. The screw body is available in 5 colours.